Memphis, Tennessee is known for its music scene, barbecue, civil rights history, and Graceland, to name a few. 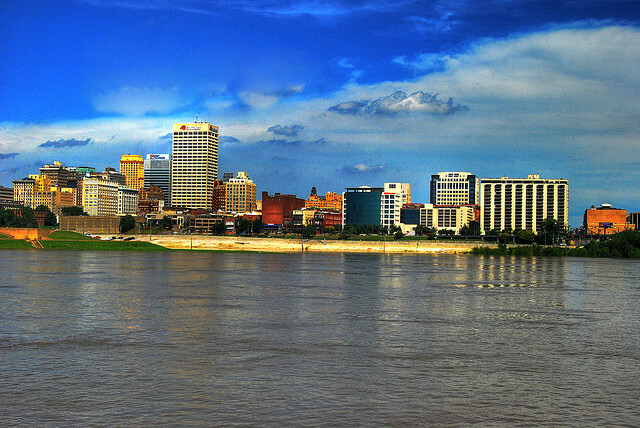 There’s also an excellent riverfront, lively downtown, the iconic Beale Street, and four natural aquifers that provide soft, pure, and sweet tasting water for the city. With amenities, entertainment, and a history full of fun, this southern city offers big city culture with a small town feel. But even though Memphis is a hot destination for tourists and home buyers alike, the city offers reasonable housing costs that encourage new buyers to invest. The median home price in Memphis is $122,000, and is just 2.2 times the median income of $56,400, making home ownership affordable for many in this city. Buyers and investors have noticed the incredible opportunity for home buying available in Memphis, and in 2014, the city was highlighted among the hottest markets in the United States. Memphis earned this designation in large part to the influx of real estate investors who have snapped up and rehabbed foreclosures before turning them into rentals. Home values are increasing and are expected to continue to appreciate. And as more buyers realize the appeal of Memphis, the market continues to become more and more competitive. This is a great time to buy, invest, or sell Memphis real estate, but it’s essential that you work with a professional agent for the best results. In our list of the 15 best real estate agents in Memphis, you’ll find experienced, helpful agents who know what it takes to succeed in today’s real estate market. And as any one of them would be a great choice for your next real estate transaction, we’ve listed them in no particular order. Don’t be shy about your favorite, though: vote in our poll at the end of this article to let us know which Memphis real estate agent you think is the best. Vote quickly, as the poll closes in 30 days! 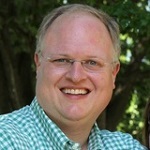 Joe Spake has more than 19 years of experience in real estate, and specializes as a real estate broker. He is an in town specialist, focusing on midtown, downtown, and east Memphis properties including historic homes, luxury properties, and condominiums. Spake is committed to providing his clients with the highest level of service, making their real estate purchase or sale as hassle free as possible. Clients say he is thorough, represents them well, and offers them endless assistance. They especially appreciate him during the inspection, repairs, and closing process, as he lends a great deal of help and knowledge in this particular area. 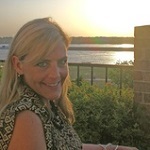 Alison Restivo is the principal broker and owner of The Restivo Group in Memphis. She is a lifelong resident of the city, and has more than 21 years of combined experience in real estate and accounting. Restivo is an asset for every client, as she has excellent knowledge not just in real estate and construction, but in finance and investment as well. Investors love Restivo as well, as she has acquired and renovated more than 40 houses on her own. Clients say she puts them at ease, keeps them informed without being bothersome, and shares her knowledge in an understanding manner that’s very useful. 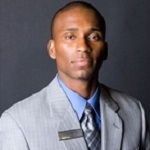 At the helm of the Terrance Hill Real Estate Team, Terrance Hill is a motivated real estate professional. 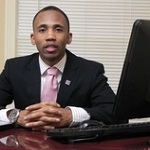 He specializes as a buyer’s agent, including foreclosures, investors, and investment consulting. 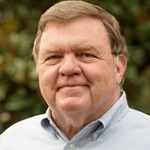 Hill knows what it takes to buy and sell homes, and he is adept at using technology to develop a seamless process for real estate transactions. He really stands out with buyers, as he uses a unique marketing system and a buyers in waiting program that often results in multiple offers, and allows his team to sell homes 75% faster than the average time of other agents. His clients say he is always well prepared, works through every challenge expertly, and isn’t afraid to commit to hard work to come through on their real estate needs. Realtor® and broker Kathryn Garland has more than seven years of experience in real estate, but she grew up in a real estate family, so she’s had a lifelong love and appreciation for the business. She is honored to help buyers and sellers with their real estate needs as she negotiates on their behalf and walks them through the sales process, making their experience both exciting and fun. Garland has a number of recognitions and designations, including membership in the Women’s Council of Realtors®, Council of Residential Specialist, and the Memphis Area Association of Realtors® Multi-Million Dollar Sales Club. Clients love her patience and professionalism, as well as her ability to do smart negotiations for them. They note that she’s always on the case, and offers straight talk, excellent communication, and the knowledge of a professional. 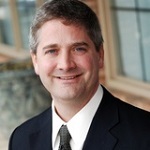 Principal broker of Baxter Read Realty, Andrew Turnage has more than 19 years of experience in real estate. He offers excellent attention to detail, an ability to connect with clients and other agents, and makes the entire process as stress free as possible. All clients from first time buyers to seasoned investors will benefit from Turnage’s significant experience and knowledge in real estate. His clients value his enthusiasm, excellent recommendations, and ability to sell homes quickly. Jeffrey Smith is president and managing broker of JASCO Realtors®. He is committed to working hard and educating his clients as he meets their real estate needs. Smith’s strengths are in marketing, negotiation, and fast, above average home sales. He is a member of the multi million dollar club and is among the top producing agents in Memphis. His clients say he goes above and beyond to help them, selling their homes quickly with attentive, caring service. 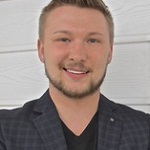 An affiliate broker with Crest Core Realty, Bryan Ratcliff is a Memphis native and has an intensive knowledge of all of the city’s neighborhoods. He is a sharp negotiator, highly motivated, and uses the most cutting edge technology to help meet the real estate needs of his clients. Ratcliff is committed to listening to the needs of his clients and works hard to make every negotiation a win-win situation. Buyers with Ratcliff will enjoy help with their moving expenses while sellers who list and buy with him will save thousands on commission costs. His clients say he is excellent every step of the way, remaining in close contact and answering every question. They count on Bryan for his knowledge and dependability, and enjoy his service as he exceeds every expectation. 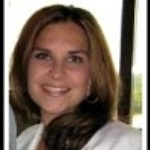 Stephanie Taylor is a native of Memphis with more than 11 years of experience as a Realtor®. 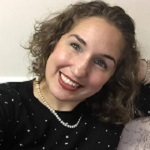 Specializing in modern, tech savvy marketing strategies, Taylor is able to offer excellent exposure for her clients. 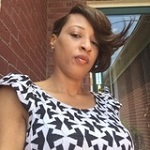 She is also known for her honesty, integrity, and in depth knowledge of Memphis and its neighborhoods. With more than a decade of loyal clients, much of Taylor’s business is repeat and referral clients. Her clients greatly appreciate her comprehensive marketing plans, pricing ability, and her results as she sells their homes quickly at a great price. Todd Harris with Metropolis Real Estate Services has more than 12 years of experience in real estate. He’s a buyer’s agent specializing in short sales, commercial real estate, and property management. He’s known for selling homes to his clients with no closing costs or even getting money back at closing. Clients can count on him to work in their best interest and deliver the best results for them. They value him for his knowledge, excellent experience, expertise, and responsiveness. Jon Moultrie is an owner and broker of Enterprise Realtors®. He specializes as a buyer’s agent and listing agent with interests in foreclosure and consulting. Moultrie is an asset for all clients, whether you’re buying, selling, investing, or even avoiding foreclosure. With Moultrie, you’ll benefit from a team of specialists dedicated to making your real estate dreams come true. His clients are impressed with his level of service, as he offers excellent communication, feedback, and honest advice. They also enjoy his patience, knowledge, and team approach to real estate. An agent with Fast Track Realty, Dusty Zvolanek has more than six years of experience in real estate. She offers excellent service for buying or selling your dream home — and it shows: every year she’s been licensed, Zvolanek has been a member of the multi million dollar club. Her clients enjoy excellent exposure for sales, and maximum ROI for investors. Clients say she offers excellent communication, supportive resources, and amazing negotiation skills. They enjoy her hard working, professional nature and always walk away with a positive experience from her. 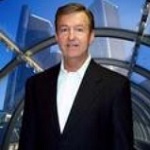 Larry Mayall is a real estate broker with more than 20 years of experience, and is the leader of the Larry Mayall Team. Mayall places his clients as his priority, and makes it a point to go above and beyond in his effort to achieve excellence. 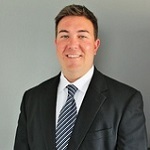 He has significant experience in working directly with mortgage lenders, including as a HUD broker. He’s not afraid of high expectations and tight deadlines, and is always ready to exceed standards in real estate. Clients say Mayall is easy to work with, offers fast service, and provides them with a great experience. 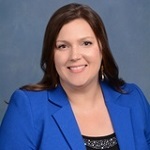 Tracie Benetz with Heritage Homes Company takes a client first philosophy with real estate. She offers integrity, expertise, knowledge, marketing savvy, excellent negotiation skills, and more to deliver the best service to her clients. Benetz is passionate about her responsibility in selling and finding homes for families, and she enjoys helping everyone become a homeowner. She brings a positive attitude to every transaction and works to be creative and think outside the box. Clients say she is always there when they need her, patient even in busy moments, and they feel like they’re her only clients. They appreciate her extensive knowledge and willingness to answer every question they have. 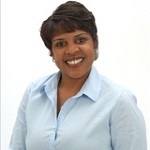 Melba Jones is an affiliate broker with New Home Realty, and has more than 11 years of experience in real estate. She offers an enthusiastic attitude, strong work ethic, and a reputation for excellence. Her knowledge, personality, and credibility have given her a reputation for offering excellent personal service, and have made her one of the most highly regarded Realtors® in the Memphis area. 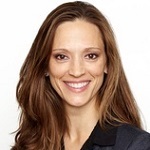 Jones’ clients value her professionalism, knowledge, and patience. They say she is a pleasure to work with and takes great care of each of her clients, making sure their needs are met and they feel satisfied. A Realtor® with Realty One Group 1st National Realty, Tonya Covington has more than 16 years of experience in real estate. She is committed to offering the highest level of expertise, and helps her clients understand every step of the real estate sales process. She enjoys a great track record of results for her clients, and is committed to always working in their best interest. Covington’s clients say she is phenomenal, offering professional, knowledgeable service. They love how well she looks out for them, and value her patience and ability to help them make good decisions.